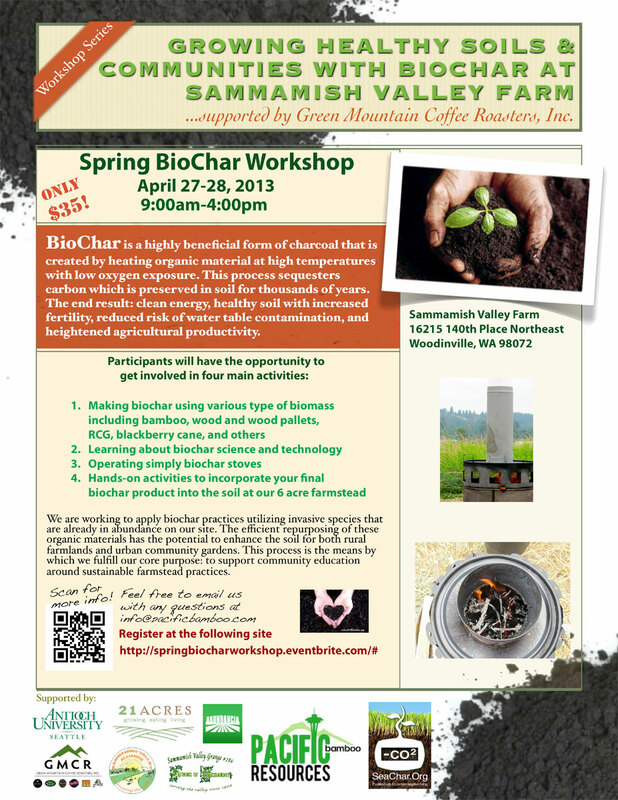 Biochar is charcoal created from dry organic waste materials. Amended to our soils it gives all of us a way to combat climate change by storing long lasting fixed carbon in our gardens or yards. Learn how to make your garden carbon negative and climate friendly, while building healthy soil. For a $45 donation build and take home a five gallon "GARDEN MASTER Stove". 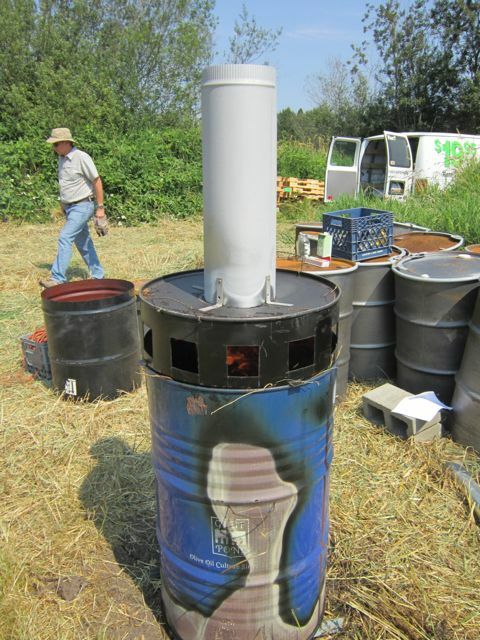 This gardener's version of our "ESTUFA FINCA" Central America cook-stove, makes clean heat and soil building biochar from your garden and yard wastes. 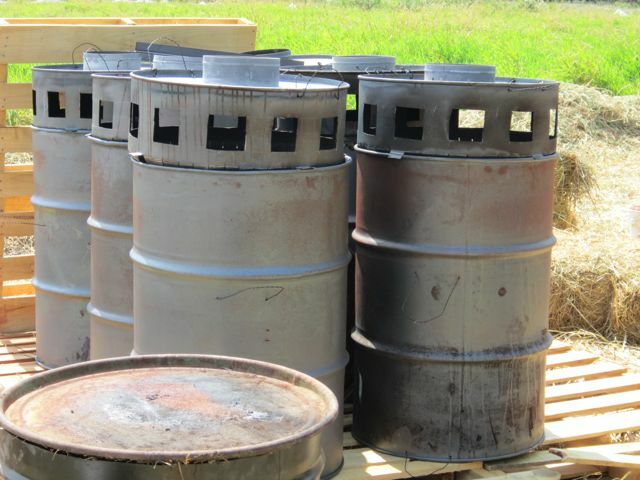 All tools and materials for building this stove will be provided.